Interested in sponsoring the biggest San Anto event of the year?! 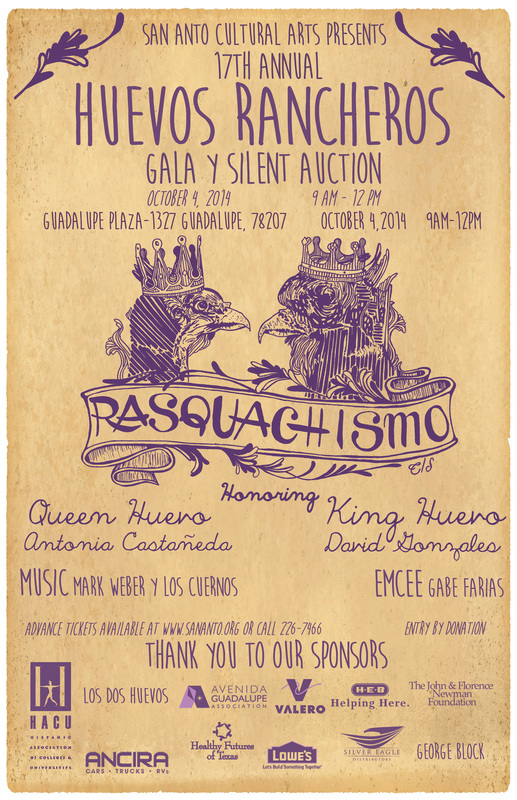 Your support will ensure this year’s Huevos Rancheros Gala is the most successful yet which is imperative because it is not only a part of Westside cultura and history, it is San Anto Cultural Arts’ primary fundraiser. A grassroots nonprofit, San Anto depends greatly on proceeds from the Huevos Rancheros Gala to finance its work in the community. Your sponsorship will fund the El Placazo Community Newspaper & Mentor Program and the Community Mural & Public Art Program, two programs that have served San Antonio for 20 years. Click the link below to download the sponsor packet.